At the end of February participants from all five Central Asian countries (Kazakhstan, Uzbekistan, Turkmenistan, Kyrgyzstan and Tajikistan) will discuss issues of natural disasters at the Forum on Financial Protection against Natural Disasters in Almaty, Ko Takeuchi, Senior Disaster Risk Management Specialist for Central Asia at the World Bank told Trend. The event will be organized by the World Bank with support from the Global Facility for Disaster Reduction and Recovery (GFDRR). "It is the first initiative of such kind in Central Asia and we aim to encourage countries to think and adopt measures on how to be financially prepared for natural disasters," the expert said. He noted that with its diverse geography, Central Asia is prone to natural disasters, such as earthquakes, floods, landslides, extreme weather events, avalanches, storms, droughts and many others. "In the past three decades, natural disasters affected over 10 million people and caused a loss of almost $2.5 billion throughout the region. Today disaster risks keep increasing." "Central Asia’s geography - which ranges from mountains to steppes, and deserts - make the region particularly vulnerable to natural disasters. Climate change is also adding to the region’s vulnerability – it is predicted that by 2085 the temperature will rise by 5.7 degrees Celsius, which will increase the frequency and severity of natural disasters," Takeuchi said. He explained that natural disasters inflict serious damage to the economy and often affect many sectors at once. "They destroy tangible assets such as buildings, equipment, transport routes, telecommunication infrastructure, agricultural production, as well as human capital." "In Central Asia, agriculture is among the key sectors affected by natural disasters. Trade can also be affected by natural disasters in Central Asia. Numerous transport routes – arteries for trade with other countries – pass through Ferghana Valley and Pamir mountains," Takeuchi informed. The expert said that it makes more economic sense to invest in risk reduction than to respond to a disaster when it already happened. "It also allows to save lives. Hence priority should be given to actions aimed at reducing existing risks and preventing the new ones." "Financing should be at the core of any disaster management action. By introducing financial protection mechanisms, such as allocations of disaster funds, disaster insurance mechanisms, countries can better respond to disasters," he noted. Takeuchi further said that natural disasters have no borders and can often affect a few countries of Central Asia at once. "At the same time, major disasters happening in a neighboring country could echo throughout the entire region. Governments of Central Asia recognize this and have taken steps towards addressing disaster risks jointly." "For instance, bearing in mind the importance of coordinated efforts to jointly address disaster risks, the Center for Emergency Situations and Disaster Risk Reduction (CESDRR) has been established as a platform for better coordination of disaster risk management initiatives at the regional level. Besides this, the countries have been supporting each other with bilateral aid after natural disasters," the expert informed. 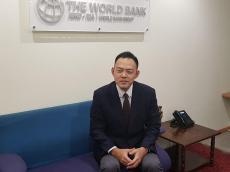 According to Takeuchi, there is, however, much more work to be done to boost regional cooperation and coordination on disaster risk management, and particularly on financial cooperation and data sharing. To help make Central Asian countries more resilient to climate and disaster risks, the World Bank has been supporting a number of important initiatives across the region. The World Bank continues supporting Central Asian countries in developing a safer environment for people. For example, the World Bank’s recent project helped to rehabilitate weather stations across Kyrgyzstan and Tajikistan and, by doing so, improve weather forecasting accuracy by 30 percent. This will help countries to improve agricultural production, hydropower networks and keep communities safer. 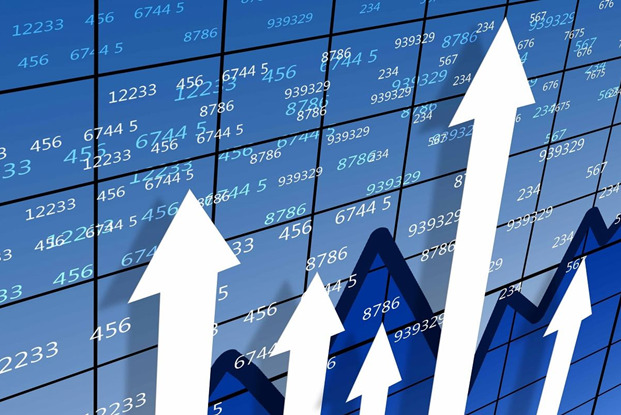 The World Bank also supports Central Asia through capacity-building and analytics. For example, the World Bank helped to introduce a Post-Disaster Needs Assessment methodology, which allows to quantify physical damages and economic losses and identify recovery needs. Kyrgyzstan has already introduced this methodology and received first important results from assessing post-disaster damages and losses.